Over and over, the Iraq war is over. President Barack Obama, who opposed the war all the way to the White House, can't remind people enough that he is the one ending the conflict and getting every last troop home. He is not just commander in chief intent on lauding the valor of the military. He is a president seeking re-election and soaking up every chance to mark a promise kept. 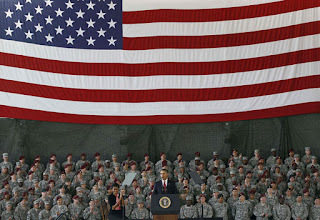 On Wednesday at Fort Bragg in North Carolina, a post that sent thousands of troops to Iraq and saw more than 200 of them die there, Obama summoned glory and gravity. 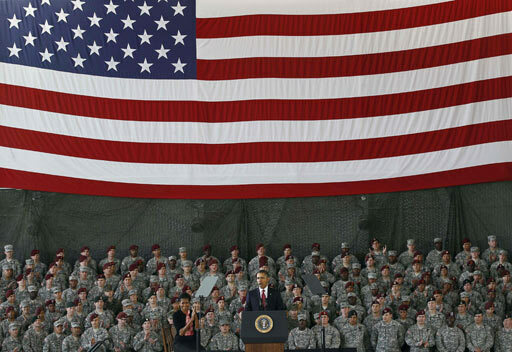 In a speech full of pride in American fighting forces, Obama declared to soldiers that the "war in Iraq will soon belong to history, and your service belongs to the ages." If the thought sounded familiar, it was because Obama has essentially been declaring an end since the start of his term.